Our recent Seedy Sunday gathering was a lovely afternoon of sorting through the seed bank, tidying up recent seed that has come in, learning more about how to collect good quality viable seed and creating a new card system. Thank you to Karral for a great talk and information on seed viability. Anyone keen to read the blog post from NW Edible that prompted this topic, see here. Karral also referred to other resources and tips for determining viability. 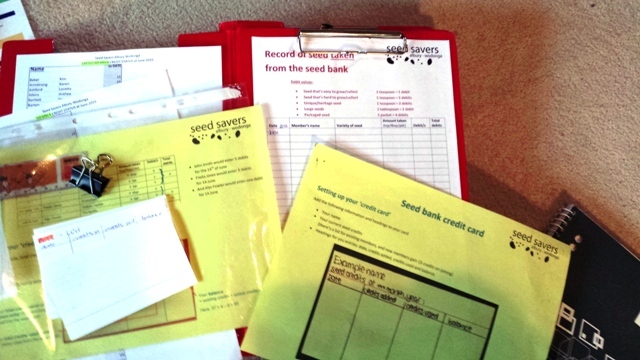 Seed Savers members are able to access the bulk seed bank by using a credit system. When someone becomes a member or renews their membership they are given an automatic 15 credits. Credits can be used to ‘withdraw’ seed (ie grab some seed that someone else added, from our seed bank, and take home to grow). Members also gain credits when they ‘deposit’ seed into the seed bank. It is an honesty system and seems to work well. Managing individual credits of all members is a big job so to ‘share the load’ a card system where you can manage your own credits has been introduced. It is simple and means you can come to any event where the seed bank is operating, grab your card, know what you have credit-wise and manage your balance yourself. See here for more on how to set your card up and keep track of your seed bank credits. A nice mix of seed has come into the seed bank recently. A list will be published soon. 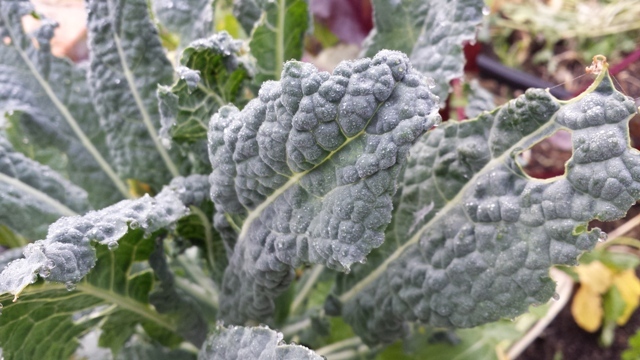 Don’t forget to keep an eye on any winter vegetables you would like to save seed from. All varieties welcome, especially if you find some are a great fit for our climate or your own priorities (easy to grow, slow to bolt, high yield, great taste, etc). Please also complete a seed data sheet if sharing your seed, so we capture all those wonderful details. This entry was posted in Event reports and tagged seed bank, seed saving, seed viability, winter vegetables by Seed Savers Albury-Wodonga. Bookmark the permalink.